Piano Trio playing is my great love. As a student in the late 70's I played at music courses in Germany and Austria with fellow musicians. Whilst in Botswana we formed the 'Trio con Brio' with 2 Bulgarian string players, and played several concerts, including Beethoven's triple concerto in Bulawayo, Zimbabwe. Forming a trio in the Midlands that is flexible and yet committed followed naturally. 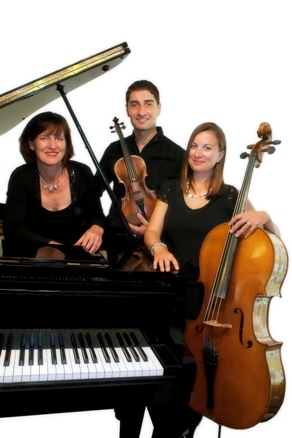 Founding members of the Mercian Piano Trio were Sarah Huson and me, inviting Cris Bacanu to join us as violinist. At one stage we were all 3 teachers at Trent College, Nottingham. Due to illness, childbirth and change of address the trio has experienced some changes in personnel. I am pleased to say the pianist has remained the rock in the middle, and the high standard we set has been sustained. 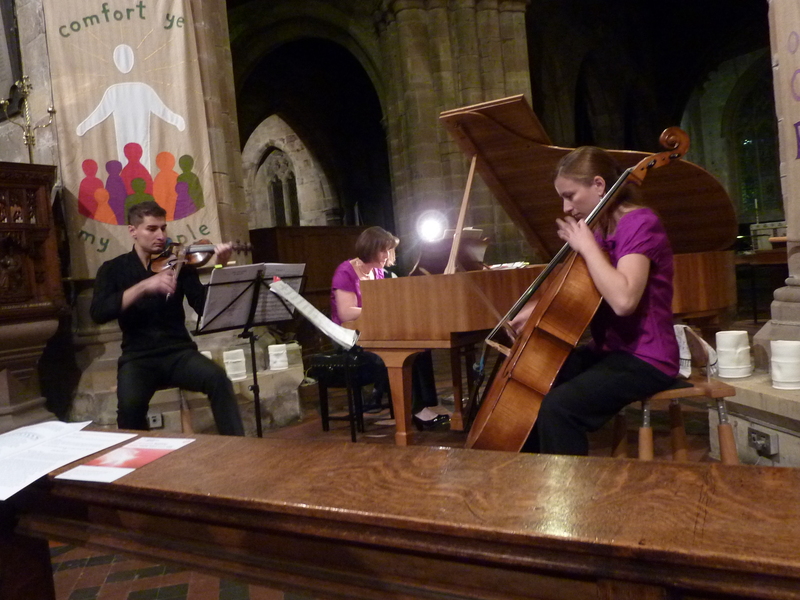 We invited Clair Stanley to play with Sarah and me, and then Peter Wilson to help out with a temporary cello vacancy. This is the current make-up of the Mercian Piano Trio. We remain a vibrant, energetic Midlands-based piano trio; we are open to new ideas, repertoire, concert opportunities and workshops, especially also to encourage youngsters to play in this wonderful form of music making.